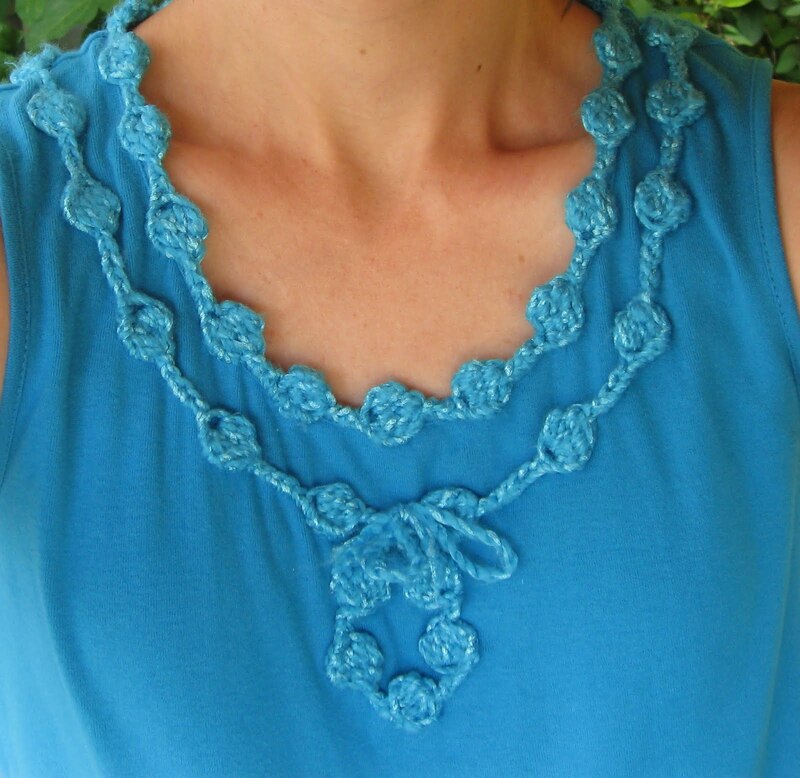 Again from Linda Permann’s book I tried out a crocheted trim to add to a turquoise tank top I had bought. I changed a few little things with its construction but I liked the basic look of a crocheted necklace. A brand new Hobby Lobby store just came to our area this summer and it has been a treat to peruse the different yarns brands that they carry. One of the yarns has a very pretty shimmer woven into the strands. It is acrylic and very easy to work with. I particularly liked the turquoise blue skein and thought it went perfectly with this bought top.